Home » Giveaway: Win a Blu-Ray Promo Pack for The Boy! 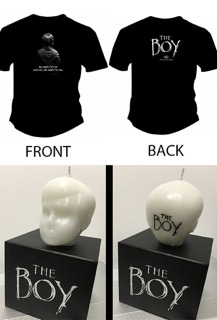 Giveaway: Win a Blu-Ray Promo Pack for The Boy! Ready for another giveaway? Wicked Horror has again partnered with Universal Pictures to bring you some awesome prize packs in support of The Boy! 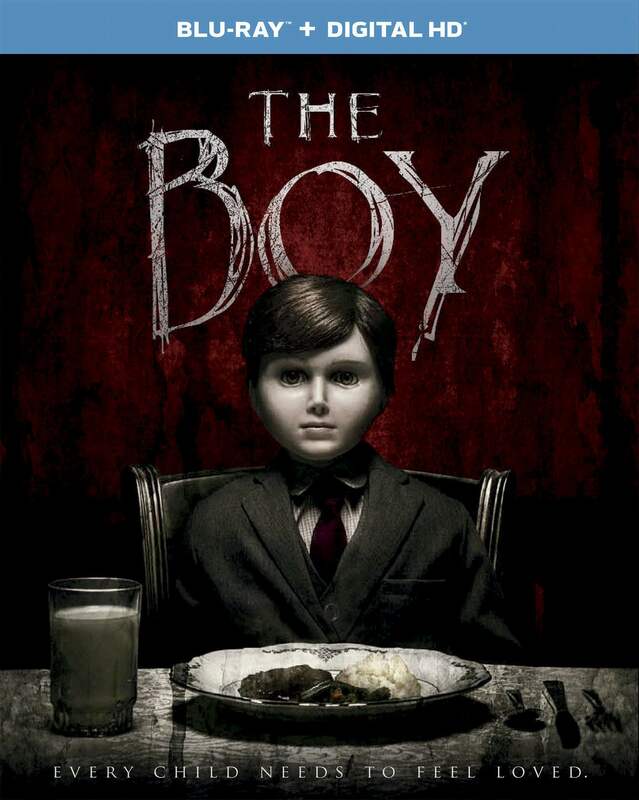 The Boy is now available on Digital HD, and will be released on Blu-Ray and DVD on May 10, 2016. In addition to a Blu-Ray of the film, the two lucky winners of this giveaway will also receive some exclusive promotional items from the film. Read on to find out more and how to win. The Boy was directed by William Brent Bell, who previously co-wrote and directed The Devil Inside. The film stars The Walking Dead’s Lauren Cohan, as well as James Russell, Rupert Evans, Jim Norton, and Diana Hardcastle. The film was released on January 22, 2016, and you could soon own it for yourself with our latest giveaway! But, you’ll be getting more than just the Blu-Ray this time: each winner will also receive a promotional t-shirt and candle (pictured) for the film! To enter for your chance to win this giveaway, all you have to do is follow @WickedHorrorTV on Twitter. Then send an email to Wicked Horror contributor Michele Eggen at seeno_evil63@yahoo.com with the subject line “The Boy Giveaway.” Please include your Full Name, a Valid Mailing Address, and your Twitter handle in the body of the email. You have until Monday, May 9 at 12 midnight PT to get your entries in! We will then select the two winners at random, and your promo pack will be on the way to you! Please note that this contest is only open to our readers in the US. So if you want to own the movie that is a “frightening thrill ride,” and get some cool collectibles to go with it, send those emails in soon and you could win! Good luck! Win a Copy of Crying Wolf on DVD! Giveaway – Win a Blu-Ray of Paranormal Activity: The Ghost Dimension! Giveaway – Win a Blu-Ray Copy of The Strain Season 2!